If you are a dedicated business or an avid digital marketer or blogger who would like to establish your foot on the web and hence looking for the powerful yet affordable cloud hosting service, then you should read this post. I’m going to share my personal views and features of a managed cloud hosting service that has gained popularity among the site owners in recent days. A couple of years ago, I was searching for the best WordPress hosting that offers a worry-free experience for its customers by taking care of all the technicalities. And my hunting had been ended with CLOUDWAYS. It is a managed cloud web hosting with data centers all around the world. You will get more freedom to do better business with this fantastic hosting server. 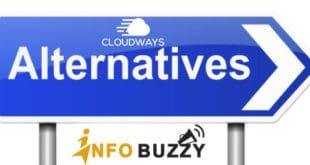 As I have been using the Cloudways hosting for major blogs, I would like to summarize its excellent features so that you would like to get it without any hesitation. 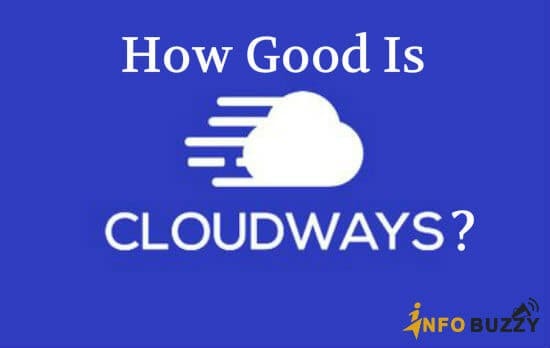 In this Cloudways review 2019, I would like to list the excellent qualities of this managed cloud server! Following are the best features of Cloudways that I mostly like! While people consider Cloudways for expert users and developers, I still feel that they have a good customer support system and knowledgebase which is quite helpful in getting started. Although the initial server creation is bit lengthy, the knowledgebase helps a lot in selecting the right option. Moreover, through the innovative Control panel, it is easier to manage everything without any trouble. Your site can go live in minutes and yes, they will take away all the complexities to set up your website. However, you can manage the applications effectively like a Pro. 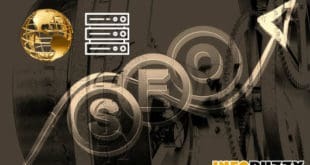 The page loading speed is one of the Google ranking factors, and hence you have to get the fastest hosting server for your business website. The internet users are extremely impatient and they need the information quickly from the site they browse. To satisfy the search users, Google has made the site loading time as the search engine ranking factor. When it comes to Speed, Cloudways is implementing a lot at the server side through the Cache settings and PHP version. The launched servers have dedicated resources, pre-configured PHP-FPM and HTTP/2 & Redis support, so you never need to worry about the speed and performance of your site, and yes, they will be top-notch. You may check the loading speed of my blog, infobuzzy! As stated in the beginning, the primary purpose of Cloudways is to utilize the cloud power. To demonstrate the ability of Cloudways, I’d like to put up my experience. One of my WordPress blog hosted on Cloudways (with multiple plugins installed) was able to handle to real-time users around 2000 without any delay in the server response time. Even after so many user requests, I was able to perform customizations at the backend through WordPress panel. It doesn’t matter if you’re getting thousands of real-time users, Cloudways is highly optimized to handle a lot of real-time user requests without causing any issue to your server. Since it is an SSD based hosting and contains advanced Caches & PHP 7 ready servers, websites hosted open pretty fast without any delay in the server response time. Great power comes with great responsibility! Cloudways has done a fantastic job in implementing security features to protect the data. Security features include firewalls on each server, real-time monitoring, and Two-factor authentication. It also supports SSL Certificates. The user can also install the free LetsEncrypt SSL Certificated through an inbuilt user-interface. You can also install your custom SSL Certificates. Through the regular security patches and firmware upgrades on the server, you will get a secure environment and could keep the vulnerabilities at bay. Although Cloudways delivers website content pretty faster than any other web hosting provider, it supports CDN and is very easy to implement. 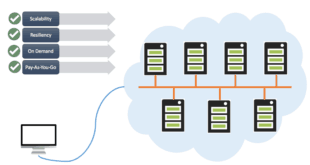 Users can use the CDN based on StackPath through the user-interface. It has a set of tutorials which might be helpful in integrating the CDN as per your website’s structure. It’s a simple process through the Cache plugin, and yes, I have enabled CloudwaysCDN for my blogs to improve the loading speed. When I have started to use the Cloudways hosting service, the CPanel was the only thing that I disliked because it was something new to me. Cloudways uses its own customized Control Panel, and you will be comfortable after start using it! It is stuffed with lots of features and is decently optimized which is now easy to manage the tasks at one place. 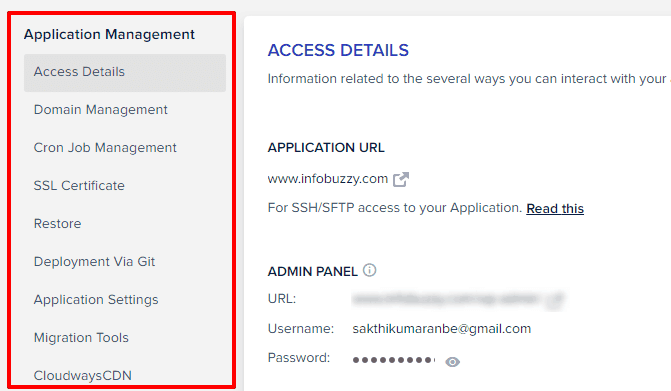 I like the intuitive dashboard where I can monitor the server size, do the security configuration, manage the backup frequency, access my affiliate details and much more. Initially, I was very much concerned about Customer Support since getting started with Cloudways wasn’t too simple. Cloudways offers Live Chat support which is available 24×7 all days. I had an issue with the Database setup, and I was transferring a huge vBulletin Forum Database. I spent a day configuring myself but couldn’t do it properly. In the end, I had to opt for Customer Support. To my surprise, the Customer Support team was well aware of the script and handled the complete Installation of my Forum themselves. The whole thing took a few hours, but they did it correctly. Whenever I required any help, they have provided immediate assistance and help me set up the CDN as well. They are highly knowledgable and easily reachable. Years back, one of my web host had a server breakdown which resulted in data loss. The worst part of this data loss was that I lost three months of my website’s data. I was taking regular backups but forgot to back up the site for four months. Hence, that resulted in a considerable loss. Since that day, I decided to prefer web hosts with Automatic Server Backups. At Cloudways, the backups are run regularly by default, and you can recover your website with a click in case anything goes wrong. It is one of the most useful features for Developers who are continually experimenting with their websites. You also get constant notifications about the server and backups through CloudwaysBot. Supports only PHP. You have to stick with PHP which creating a custom script for your site. Personally, I won’t recommend Cloudways for beginners. However, if you’re already used to web hosts, database, scripts, etc. then you can give this a try. It doesn’t matter if you have a blog, news portal or an eCommerce website, Cloudways is perfect for all of these. In case you don’t want to invest all your money at once, you can opt for their ‘Pay as you go‘ pricing option. This allows you to pay as per your usage and hosting tenure. I’ve been using DigitalOcean for the past two years, and I find Cloudways to be better. The user interface is simple, the configuration is more comfortable than DO, and with such fantastic Customer Support, you get easily become expert within days. Moreover, it is the fastest hosting for WordPress that would make your site load under 1 second. So, I assume that you have come to know the features and benefits of using this cloud hosting service through my Cloudways review. Even though it has a very few downsides, they are acceptable if you are looking for the super-fast hosting provider. Nirmala is a dedicated blogger who has been in the Blogosphere since 2012. She is a tech freak and thus she loves to write about the innovative matters of technology. Which Is The Best Online Store Hosting To Launch Your E-Commerce Business?